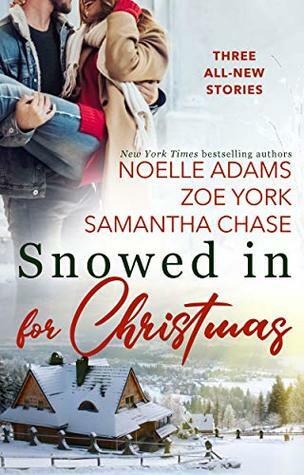 Snowed in for Christmas is a beautiful novella collection of romance and Christmas stories. I found each story sweet, engaging, and heartfelt. It felt like I was there experiencing the magic of the moments along with the characters. Each characters has been holding back on their romantic/lustful feelings. It was funny to watch as those feelings blossomed. Strong willed, smart, and charming, these characters had a way of pulling me into their story. These tales showed more than just people acting on their romantic feelings towards each other. It showed how personalities changed due to kindness. How helping others made for a better future…and how being selfless can bring better tidings and cheer to all. I really liked how Samantha Chase wove the love of animals into her story. That one was my favorite. But each of these contemporary romance pieces were just as good as the one before it. Overall, I highly recommend this book to readers everywhere.